Explore Civil War documents featuring everything from military records to personal accounts and historic writings. Soldier records include service records, pension index cards, “Widows’ Pension” files, Navy survivors certificates, Army registers, and much more. Other record types include photographs, original war maps, court investigations, slave records, and beyond. Items such as the Lincoln Assassination Papers, Sultana Disaster documents, letters to the Adjutant General and Commission Branch, and the 1860 census are also contained in the Civil War Collection. Confederate-specific records include Confederate service records, amnesty papers, casualty reports, and citizens files, as well as Confederate Navy subject files and Southern Claims Commission documents. Join Fold3 in its commemoration of the Civil War. Discover information on famous participants as well as your own Civil War ancestors through documents, photos, and images that capture the experiences and vital information of those involved in America’s deadliest conflict. Then commemorate your ancestors by creating or expanding memorial pages for them on Fold3’s Honor Wall. 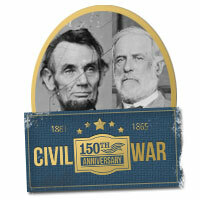 Get started searching the Civil War Collection here. Im looking for a record for elisha Hudson he was born 1823 and died 1881 on chambers county alabama. Thanks Ryan. Found grave site of George Biehle in Gettysburg would like birth place of him! Looking for information on any Company’s that served in the Civil War from either New Mexico or Southern Colorado. I saw a confederate hat when I was a child belonging to a great uncle. He said he was the Drummer Boy. I never was able to find out any further information. Any help would be appreciated.